USRC Scout – Which One Is It? Sound. The boat had a 9 ft. 6 in. beam and 5 ft. 5 in. to deal with illegal immigration and drug smuggling. original Scout, but was reportedly only 62 ft. long. 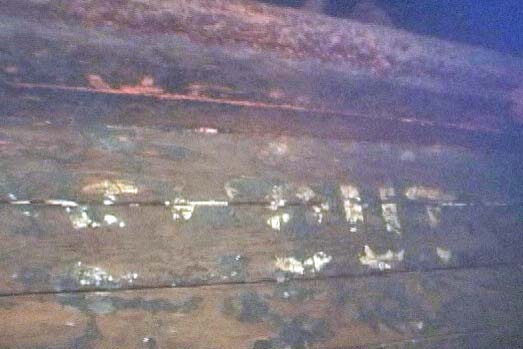 vessel was stripped and then the hull was scuttled. with any certainty which “Scout” is in the lake. The first dive was on the PV-2 Harpoon – a World War II patrol bomber that was ditched after take-off in Sept 1947. It’s a great dive, the plane is stuck nose down in the mud and the tail is broken off so there is opportunity to drop down inside.� 50 caliber machine guns still in the turret. Max depth was about 145ft. Researching vessels by that name later that evening and comparing notes to our length and beam measurements we were able to match Scout to an early 1900’s era Coast Guard Revenue Cutter. One of the first that was gasoline powered.� It was based in Port Townsend, WA where its primary purposes were to thwart illegal immigration and opium trade.� In 1915 it was transferred via private sale to Puget Sound.� Other than that the rest of its history above water remains a mystery.